(CN) – The Supreme Court on Tuesday ordered Wyoming to pay Montana $20,000 for holding back some of the water that flows from the Yellowstone River into a reservoir in southeastern Montana. 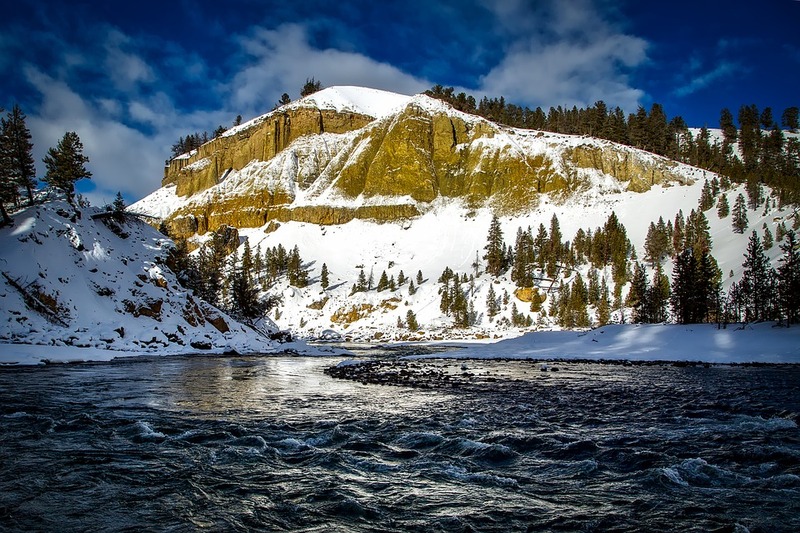 Montana claimed in 2008 that Wyoming breached a decades-old agreement between the states called the Yellowstone River Compact by using more than its fair share of water from the Tongue and Powder Rivers. The U.S. Supreme Court later appointed Special Water Master Barton Thompson to decide the case. In December 2016, Thompson found that Montana has the right to fill the Tongue River Reservoir to pre-1950 levels, under the Yellowstone River Compact that Congress approved in 1950. Prior to Thompson’s decision, Wyoming was withholding some of the flows from the Yellowstone River, which drains into the Tongue River Reservoir in southeastern Montana. On Tuesday, the Supreme Court issued an unsigned, seven-page judgment and decree based on the special master’s report. The justices ordered Wyoming to pay $20,340 to Montana for violating the Yellowstone River Compact by reducing the volume of water in the Tongue River Reservoir by 1,300 acre-feet in 2004 and 56 acre-feet two years later. Wyoming must make the payment within 90 days, according to the ruling, and the money will be used for improvements to the reservoir or its related facilities. Montana was also awarded $67,000 in costs. “Article V(A) of the Yellowstone River Compact protects pre-1950 appropriative rights to the benefi­cial uses of water of the Yellowstone River System in Montana from diversions and withdrawals of surface water and groundwater in Wyoming, whether for direct use or storage, that are not made pursuant to appropriat­ive rights in Wyoming existing as of January 1, 1950,” the order states. The Supreme Court noted that Montana has a right to have 72,500 acre-feet of water in the Tongue River Reservoir.